Amazon has Echo Dot Kids Edition with Case & 1-Year FreeTime Unlimited $34.99 with free shipping. Introducing a hands-free, voice-controlled speaker with Alexa, designed with kids in mind. Echo Dot Kids Edition can play age-appropriate music, answer questions, tell stories, control compatible smart home devices, and more. 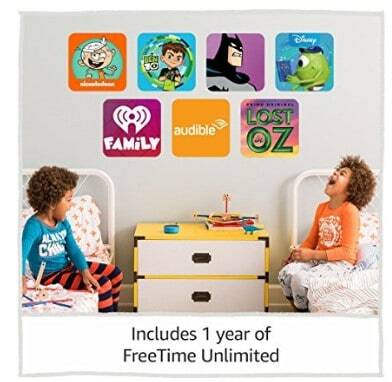 Includes a black Echo Dot, a 1-year subscription to FreeTime Unlimited, a fun kid-friendly case, and a 2-year worry-free guarantee. If they break it, return it and we’ll replace it for free.